Mumbai police have arrested a guy in Bhojpuri film actress Ruby Singh suicide case. He was a close friend of her who found her body hanging from the ceiling fan when he forced open the door. Actress Asin, who has grabbed all the golden opportunities to work with the Bollywood biggies has revealed her deep hidden desire. Asin admitted that she desires to work with the Baadshah Shahrukh Khan. Reportedly, Asin has grabbed a meaty role opposite to SRK in Sajid Nadiawala's 2 States. The Chennai Rhinos have won the first Celebrity Cricket League (CCL) T20 Trophy. Chennai Rhinos won by 1 run. Priyamani, Madhushalini were there to cheer the teams. Vikranth is a wonderful performance. 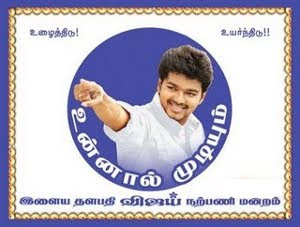 The shooting of Vijay's next 'Thupaki', which came to a halt following a war of words between the Tamil Film Producers Council (TFPC) and Film Employees Federation of South India (FEFSI), is set to get a re-start. "Shootings of many films, including Thupaki, faced a hurdle due to the tussle. Now that the issue is expected to be settled thanks to the intervention of government, work on movies would commence soon. It has been planned to re-start Thupaki on February 20," sources say. 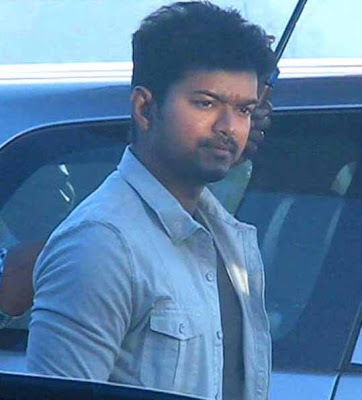 Produced by Kalaipuli S Thanu, 'Thupaki' is being directed by AR Murugadoss. Some important portions of the movie were being shot in Mumbai, when the wage row between the producers and workers hit a new low and the shooting was disrupted. Kajal Aggarwal is playing Vijay's love interest in this action-adventure. "From February 20, the shooting will commence again in Mumbai. After the schedule, the cast and crew will leave for foreign locations," add sources. Kerala girl Bhavana has not made it to the Kollywood scene of late. With her Malayalam flick 'Arabiyum Ottakavum P Madhavan Nairum' doing well at the halls; the actress is in no hurry to sign up new offers just for the sake of it. Recently she was seen at the The Celebrity Cricket League (CCL) matches supporting her team Amma Kerala Strikers with much enthusiasm. The tournament hasn't been a good one for the Kerala team who lost 3 of their total 5 matches, sitting just behind the Chennai Rhinos, edging them for the semi final spot on pure run rate basis. Beauties Lakshmi Rai and Bhavana were the brand ambassadors for team Kerala. Rumor mills suggest that the latter had taken a special attraction towards one of the team members named Rajeev Pillai, cousin of cricketer Sreesanth. Rajeev who happens to be model, actor, cricketer and even a dentist by profession? ?, resides in Mumbai presently. He was a strong force for the team winning the 'Man of the Match' title 2 times in the entire tournament. When asked if she had something for this Rajeev guy, Bhavana maintains, "I met Rajeev Pillai only during the CCL matches. I know him well. But it is not true that we are in love." The actress went on to say that she was not in love with anyone and being a brand ambassador it was her duty to cheer up her team.